On Saturday I visited the ‘Earth Fair Food Market’ in Tokai. It seems that organic markets are popping up wherever there is spare space and it wont be long before there are too few Saturday’s in a year to visit them all. I am certainly not complaining becuase 1) it gives people the opportunity to make some extra money and encourages farming be it on a small or large scale and 2) it is much nicer to spend an hour or two selecting your groceries in this kind of environment than standing in queues at the hypermarket waiting to weigh your groceries. This market is in a newly built warehouse, which to be honest, is a bit of an ‘no-no’ but as you hop out of your car you are greeted by a brass band and you soon forget about this as you full your mouth full of yummy tasters. It is small and uncrowded which is a great plus becuase, for example, the famous Neighbourgoods Market is often so packed you can never get back to the stall you visited in the beginning. It is nice to be able to find a spot easily to sit, chat and eat. There is also a kiddies section (see pics) for the little ones to play, doodle and just have fun. 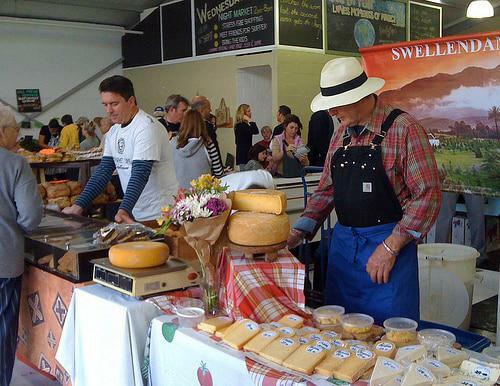 The Earth Fair Food Market is open on Wednesday’s and Saturday’s. To see more pics > click here. 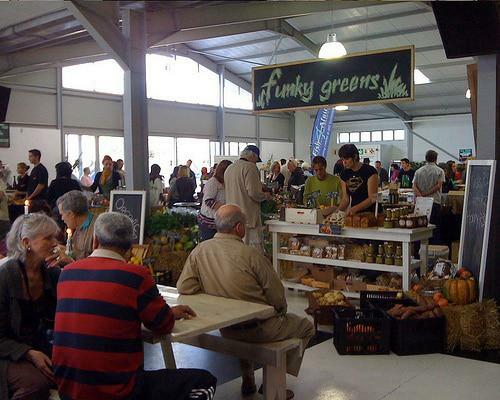 This entry was posted in Blog and tagged Cape Town, fair earth foods market, organic market in Tokai, Tokai market. Looks like a nice day at the market and many delicious food!I hope you enjoyed something! I love markets. I go every week to the town’ s market to get the few extras that we don’ t grow ourselves, and I frankly enjoy the whole experience… it’ s not just buying. I write this as I just finished watching a BBC doc on ” THe future if food” talking about the big issues of monoculture, pesticides, draughts, food chains, petroleum…etc. Pretty interesting. Thanks for sharing this, still have to check it out, now I know it really looks good and its just om die hoek…Personally I wish we had more little markets , just like in Europe.